Posted 3:23 pm by Mike & filed under Garage Door Tips & Tidbits. 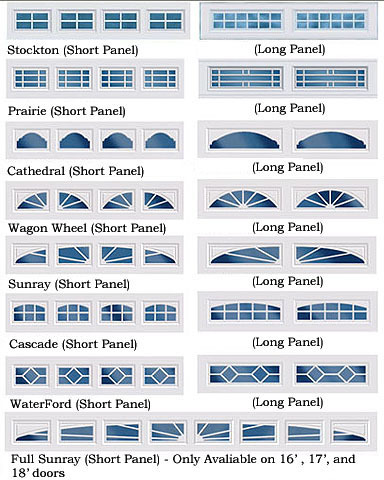 Jazz up your windows with decorative inserts. 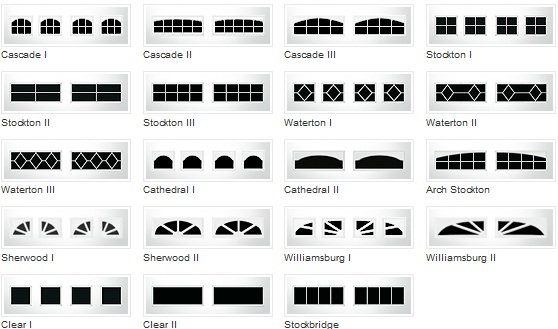 They come in a variety of styles to suit your needs and they are easy to install. Both Clopay and Raynor have window insert options. These can give your windows that extra pizzazz.